CATHOLIC GIFT SHOP LTD - Our Lady of Lourdes Plastic Statue Bottle with Lourdes Water. 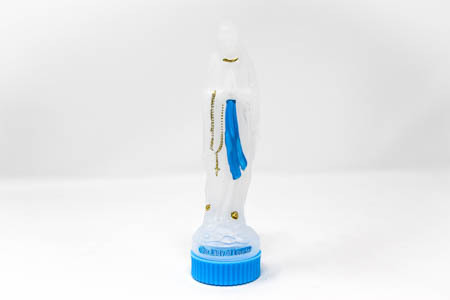 Our Lady of Lourdes Plastic Statue Bottle with Lourdes Water. Our Lady of Lourdes statue bottle containing Lourdes water with the wording "ND de LOURDES" (meaning 'Notre Dame de Lourdes' - 'Our Lady of Lourdes'). 14 cm (approx 6 inches).